Descendants of baseball immortal Babe Ruth and Major League legends Ferguson (Fergie) Jenkins and Al (The Mad Hungarian) Hrabosky will interact with the public March 23 and March 24 when Hot Springs completes its internationally famous Historic Baseball Trail. What is being called The Hot Springs Baseball Weekend will commemorate the 100th anniversary of Babe Ruth’s historic 500-foot home run during spring training at Whittington Park in Hot Springs. There will be a dedication of two Baseball Trail markers honoring legendary Arkansas-born catcher Bill Dickey and legendary pitcher Lefty Grove. “On Friday, March 23, we will dedicate the final two plaques in the Historic Baseball Trail to honor the scores of pitchers and catchers who trained in Hot Springs, which is now widely known as The Birthplace of Major League Spring Training,” Arrison said. The Historic Hot Springs Baseball Trail traces the locations, activities and information about the hundreds of Major League baseball players and staff who trained in Hot Springs long before spring training became associated with places in Arizona and Florida. Tim Reid and his son, Timmy, have completed two websites that commemorate Ruth’s First 500-foot Home Run and the legendary catchers who are known to have trained in Hot Springs. Those websites are: www.firstfivehundredfoothomerun.jimdo.com and www.hotspringscatchershalloffame.jimdo.com . 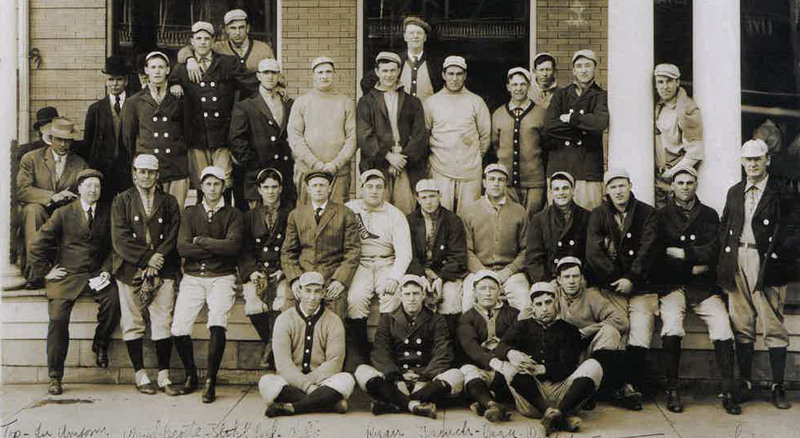 The sites contain a wealth of information about the players and their relationship to baseball’s early days in Hot Springs. For more information call Steve Arrison at 501-321-2027.